Billionaire hedge fund mechanic George Soros has a finger in every political pie there is. If there is a crisis on our world, it’s a safe bet he’s had a hand in it. This is not news to most readers, but the intricacies of Soros’s operations surely are. Here is a first in a series of articles to illuminate a real arch villain. Today we will focus on Soros and the American presidency. In America a surreal presidential race is winding toward its ultimate crescendo. In a symphony of unbelief, a people of a once great nation are serenaded by two bitterly sour notes droning in the air. “Hillary for president” leaves people of any real moral fortitude screaming inside their heads, as if they’ve been blasted with a shrieking air raid siren. As for Donald Trump’s bid for America’s highest office, jittery liberals and conservatives alike shudder at the thought of “The Donald’s” first state of the union address. Neither major candidate is what anyone would call “presidential”. Election 2016 is going exactly as manipulators like George Soros planned. Another presidency is set to be owned, lock-stock-and-barrel, by the biggest thieves in the world. Donald Trump is the ideal fall guy to set up Hillary Clinton. Boisterous, controversial, and very scary, the notorious billionaire developer is like Ronald Reagan with a penchant for acting like the cartoon character Yosemite Sam. If Trump brought two six shooters to his next speech, and lifted himself off the ground by unloading both at his feet, scarcely anyone would be surprised. The reason he was chosen to run is transparent, no one else on Earth possesses the same divergent qualities. Trump is at once a credible celebrity power figurine, and at the same time totally unacceptable as a realistic choice. Stay tuned, there is method to the madness. 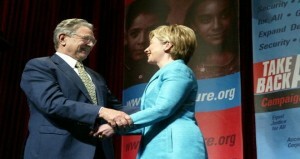 News George Soros has committed more than $25 million to Hillary and the now defunct Democratic Party is no surprise. It was Soros who helped ram Barack Obama down America’s throat. The New York billionaire has a history with Hillary and husband, dating back to Bill’s administration. It is in this relationship we see a rather diabolical pattern, if we look closely enough. No American schoolteacher will ever recount how an American president helped topple a legitimate and thriving nation like Yugoslavia, but a George Soros may certainly be implicated. When Soros created “Soros Yugoslavia”, it was not to elevate the people of that nation. Read the recap at Open Society Foundations today, if you believe I am dreaming up conspiracies. Soros is so proud of his efforts to destroy Yugoslavia, he’s commissioned a booklet enumerating his efforts entitled; “Building Open Society in the Western Balkans, 1991-2011”. Soros is, if anything a captain of the banking elite, a nation state destroyer, and a builder of a world of indebted peoples. His mission requires control of the US presidency, and a free hand in building revised nations in need of cash to rebuild. The mission is twofold. First create a credit vacuum with upheaval and civil war, then fill the void with selected investor capital, creating armies of Open Society collaborators. It’s safe to say that a large percentage of academics, media, and governmental players you see at work today, were “recruited” by Soros and others in the game. But let’s not venture too far afield, it’s the presidency-Soros connection we aim to illuminate. A few years before George Soros and the Yugoslavian puppet ruler Ante Marković signed the deal for establishing the Soros Yugoslavia efforts, Soros and the westerners were instrumental in helping break apart the government of Branko Mikulić, the $21 billion in debt to western bankers being insufficient to the Soros types. In his stead, Ante Marković was put in place as the last leader of the Socialist Federal Republic of Yugoslavia. Then the country began to melt down, Clinton played his role, and a war shattered lives and infrastructure, and credit would need to be extended. Instead of the $21 billion Yugoslavia owed, 7 weaker states would be formed up to become satraps. This is the irrefutable ends, to which Soros’s and Bill Clinton’s strategies were aimed. Yugoslavia, a stable buffer in between rampant capitalism and new eastern ideas, it was destroyed. The legacy of Prime Minister Tito died a horrible death, one revisionist historians were paid to whitewash. And make no mistake, George Soros is chief among the revisionists. 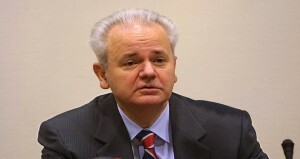 Key opposition players like Slobodan Milošević (“Sloba”) were the predecessors of Libya’s Gaddafi, and Saddam Hussein, you see. Useful for the Americans and Brits for a time, these authoritarians were backstabbed, betrayed, once their usefulness was at an end. Milošević was more or less murdered, left to get sicker and die in a Hague prison, and without any substantial proof of the crimes he was charged with. Clinton led NATO to bomb the hell out of Yugoslavia, and then trumped up allegations just as Bush did in Iraq. As you can glean from all this, the Soros types of the world are not geniuses, but practitioners. Templates for success, templates for profit, this is all these people know. The purposes may be seen in a manifest diversity of money streams and policy motifs here, but it all boils down to the narrow minded focus of limited intellect. The Rothschilds and Rockefellers, and their Soros minions win on the margins, they win on the wars, and the win on building back civilizations. This is not rocket science; it is not even innovative economic theorem. Tearing countries down to scarf up their resources, the Robber Baron strategies of old, neo-colonialism, whatever we call it – it is mediocre and lazy. But this is simply my opinion of these so-called “banksters”. I am really sorry for them, for their legacies could be cemented in the finest marble, carved into our highest peaks, and into the hearts of generations. Instead, they plod like pitiful predators, too greedy to even fear death. Look at the world today. News that a taxpayer-funded pressure group called Media Diversity Institute (MDI) is demanding the media promote only positive views of minorities in Europe may seem just a liberal footnote for more. Learning that MDI is funded by the European Commission, George Soros’ Open Society Foundations, and the United Nations shows how deeply entrenched Soros interests and his methods have become. In 2014 Open Society Foundations funded an MDI project to counter so called “xenophobic attitudes” in order to paint migration more positively in the midst of the European Union election campaign. While Russophobia and other forms of discrimination are promoted, Soros and his allies continually point the finger at the victims, calling concerned European citizens names, chastising any effort contrary to “the goal”, which is certainly to finalize global conquest by the banking elite. Soros funding of the Clinton campaigns, the Obama campaign, and his feigned dislike for the likes of the Bush presidents is a deadly game. Soros is the ultimate henchman of the men behind. And believe me, they are mostly men. Right now the United States of America is undergoing dramatic change too, though few can see this. Truth be told, most people in the region formerly known as Yugoslavia fail to grasp what was taken from them. What Soros and his handlers always count on is the local and personal focus human beings are possessed of. An American factory worker is happy just to have a job. Little does he know that without these mediocre leaders, he might have retired by now. In Croatia or Montenegro, a laborer is incapable of seeing his or her role in a massively successful Yugoslavian society. Lost potential is the most fleeting realities. Soros types continually manipulate and fool all of us into being satisfied with less, while promising much more. Soros destroys, then professes good, does evil, and has the people pay for their own misery. Then he loans them hope, sells them the illusion of a new society, a better world, as the Rothschilds take a cut. They get governments to tax us, then fund their indebtedness plans, and blame any problems on all adversaries. It’s nice game for them, even if unimaginative, but its effectiveness is running out. Maybe this is why today’s crisis seems so desperate, why a Trump must run against a second Clinton, and why Europe has to call the terrorists a taxi to their next killing. Hillary Clinton Serves as Cheerleader for GMOs at Biotech Event (But What’s She Eating at Home)? Great article. Everyone needs to know how billionaires use their money to influence elections to gain political favors.